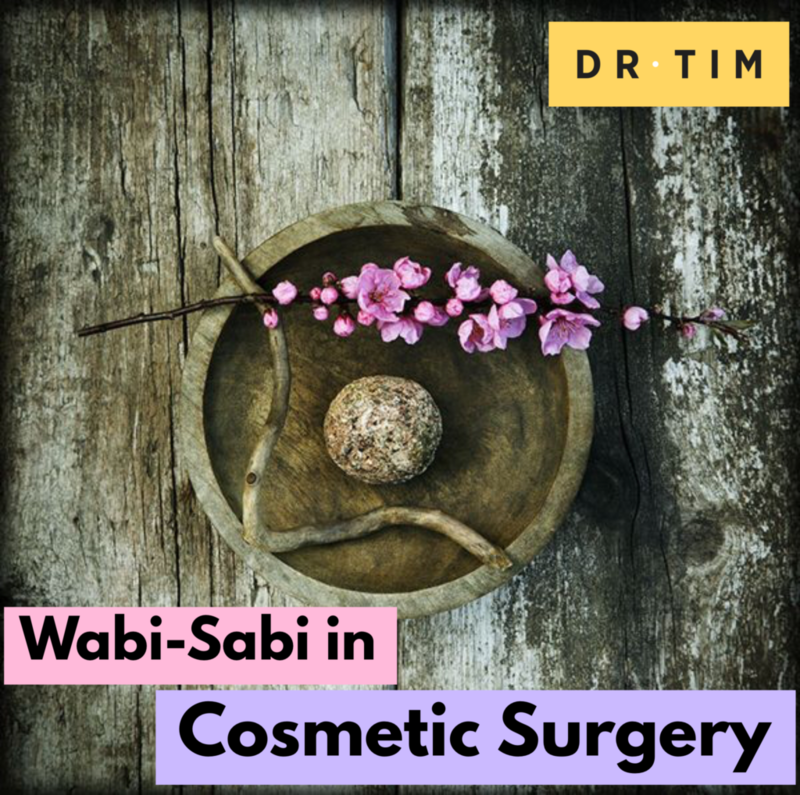 Wabi-Sabi In Cosmetic Surgery – Imperfect, Impermanent, and Incomplete. Celebrities, models, and socialites have highlighted some severe complications (including death) from undergoing cosmetic surgery in their pursuit of perfection. This is very concerning and makes me reﬂect on what beauty is all about. I am reminded at this point of Wabi-Sabi, the Japanese philosophy that embraces the beauty of things imperfect, impermanent, and incomplete. It is a beauty of things modest and humble. It would be interesting to see how much of this ancient Japanese philosophy could be embraced in the world of cosmetic surgery and what a diﬀerence it could make. Wabi-Sabi represents the exact opposite of the Western ideal of great beauty as something symmetrical, extraordinary and enduring. Wabi-Sabi is about the minor and the hidden, the tentative and the ephemeral: things so subtle and evanescent they are invisible to unreﬁned eyes. Simplicity is at the core of things Wabi-Sabi. Wabi-Sabi embraces the “less is more” ideal talked about today, yet often ignored. Cosmetic surgery needs a lot of Wabi-Sabi.